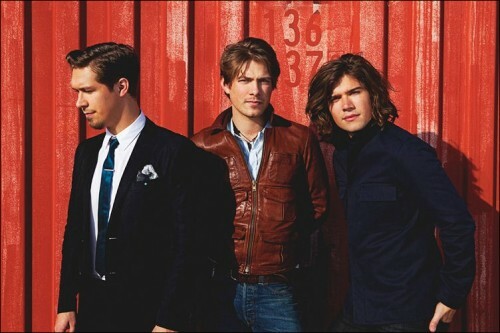 Hanson, the 90’s hit boy band, consisting of brothers Isaac, Taylor and Zac, will release their fifth studio record Shout It Out on June 8, 2010. The first single from the album, Thinking ‘Bout Somethin’ will make its debut exclusively on iTunes on April 27 with Weird Al Yankovic making a guest appearance in the video. The new album was produced and written by the boys and recorded on their own label 3CG Records in a studio on a 2,000-acre pecan farm in El Paso, Texas. Some artists who contributed to the album include Funk Brothers bassist Bob Babbitt, who played on some of Motown’s greatest hits, as well as horn arranger Jerry Hey, who worked with Michael Jackson, Quincy Jones, Earth, Wind and Fire and many more. In support of their new album, the band will embark on a nationwide tour starting July 21st with concert dates to be announced soon. In the meantime, Hanson will perform at The Bamboozle festival on Saturday, May 1st and they will host a sold-out five-night show at New York City’s Blender Theater at the Gramercy.